Are you fans ready to play ball this season? 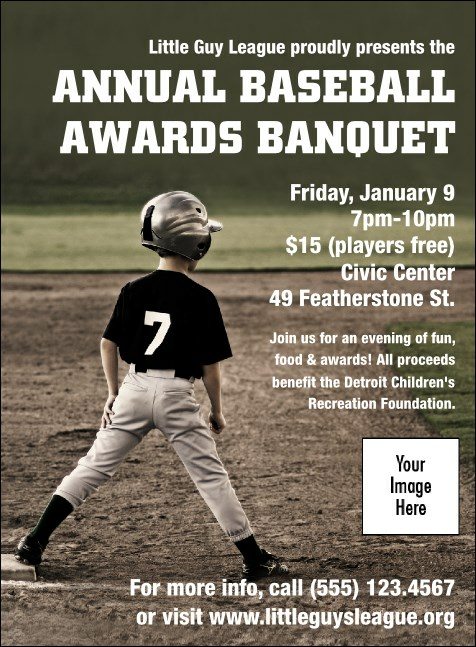 This sports-themed invitation template features full color invitation printing with a an aspiring young baseball player image. Step up to the plate and get more people to your event with this "Play Ball" baseball invitation. TicketPrinting.com has the right invitation for all your events: sports, arts, parties, and fundraisers.